Have you ever used crutches before? For those of you who have never had to use crutches, there is nothing fun or easy about it. In order to use crutches properly, all of your weight is borne on the palms of your hands. If you cheat and put weight through the tops of the crutches (Under your arms) you will eventually damage your rotator cuffs and require additional shoulder surgery. 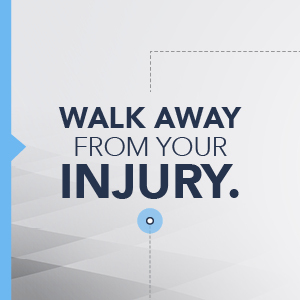 Using crutches in place of walking is similar to Olympic sports like the rings or the pommel horse… while injured. Using crutches reminds me of trying to wheel my daughter’s umbrella stroller through the snow. Not the all-terrain model designed for Canadian winters, but a regular stroller. Add this struggle to the fact that you have an injury and every time you get up, you go through this type of tiring performance. The XLEG lets you use your hands for anything: to carry a coffee, laptop, even your kid. 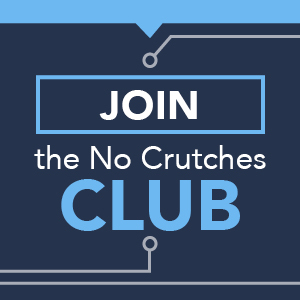 Crutches take 50 percent more energy to use than the XLEG. If you live in a snowy climate, then you know the pain of getting in and out of your car with crutches, on the best of days. No more balancing on one foot and throwing your crutches in while you struggle to get your body to the seat (while your hands turn to ice). You get the point: the XLEG is safer, easier to use, and doesn’t slow you down. The XLEG is not just for the young and active people, not by any stretch. Seniors are at a higher risk of knee and ankle injuries due to more frequent injuries as their bones become more brittle with age. Seniors, who may have weak upper body strength, run the risk of shoulder damage when using crutches. 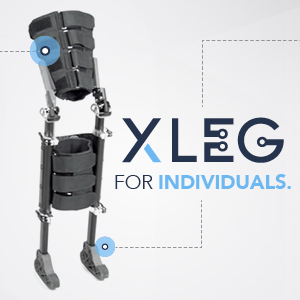 The XLEG eliminates issues with existing solutions and lets you walk normally. I mean normally — not a limp, skip or hop—but like a "not wearing much of anything on your leg" kind of normal. Some people ask me about knee scooters and walkers as an alternative. Have you ever tried using these devices in a park, on a snow-packed sidewalk, an uneven surface or load these in and out of a car while having the use of one leg? At best, you get by with crutches or other crutch alternatives, but it’s not a pleasant experience. The XLEG provides versatility as you can walk with full mobility on any surface. But how about an orthopedic leg brace? What’s the difference? 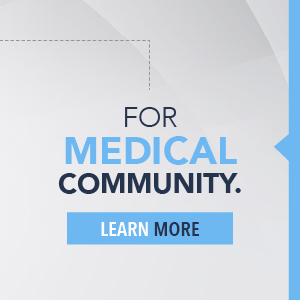 Orthopedic leg braces are designed to assist, not bare your full body weight. I have discussed customizing an orthopedic leg brace with an orthotist for this purpose and it is possible but not designed for this purpose or supported by the manufacturer (this would need to be done aftermarket). Orthopedic leg braces are also purely custom – one device for one individual at a cost of $10,000+. The XLEG allows you to return to your life sooner: get back to work and get back to doing what you love to do pain-free. Let's be honest. They say there is always something good that comes from struggles, but I remember thinking… there has to be a better way.